Putting the Christmas tree up on Thanksgiving night. Although don't judge me....the tree still isn't up. Anabelle's Wish. I absolutely LOVE LOVE LOVE cows so a Christmas movie about a cow who wants to be a Reindeer is right up my ally. 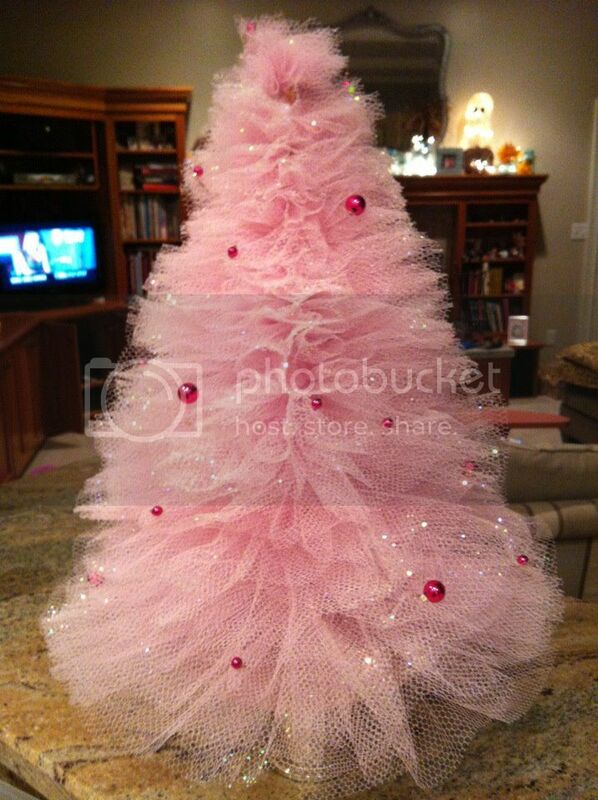 I would love to have this pink tulle tree!!!!! I don't have a favorite song....but I have a least favorite song. I hate Deck the Halls. I'm sure it has something to do with being named Holly. Is it sad that I don't eat sweets. Every since my hysterectomy my sweet tooth went away. OOOOH, that tulle tree is adorable!! I need one!! Thanks for linking up! that pink tree is so cool!